THE NEW QT HOTEL IN QUEENSTOWN IS THE PINNACLE OF QUEENSTOWN COOL. 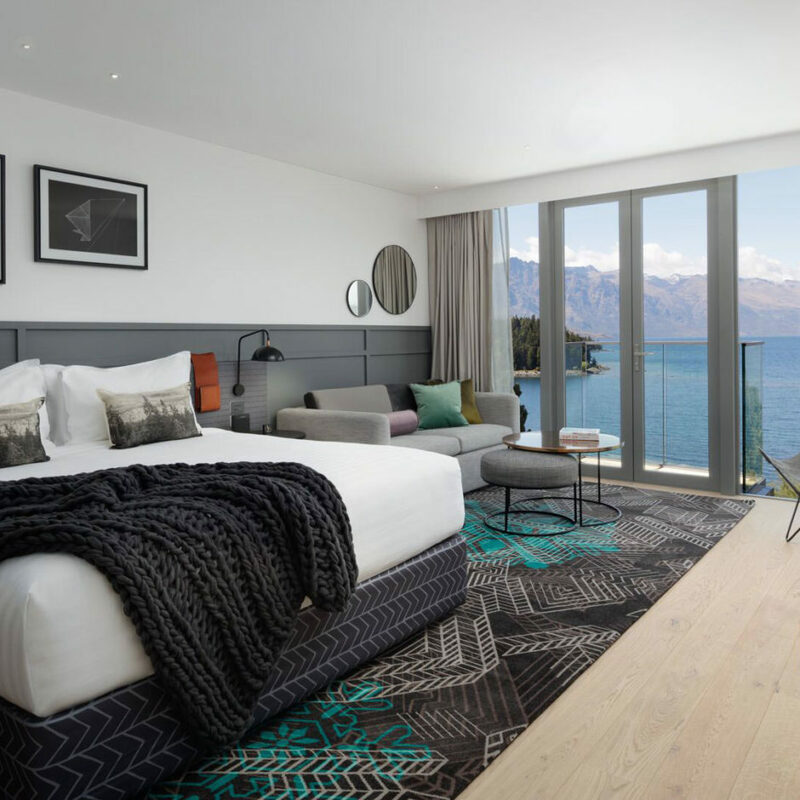 Located in the South Island snow capital, QT offers incomparable views over the crystal-clear Lake Wakatipu and awe-inspiring peaks of the Southern Alps. The hotel is the ultimate modern chill-out spot for pleasure seeking adventurers, families, and business travellers. Ramler International was contracted to supply luxury furnishing products to 69 guestrooms plus bathrooms, and reception. The design brief for this project was to produce high-end furniture emanating the sexiness of the world-renowned QT lifestyle brand. Ramler fit each of the 69 QT signature guestrooms with a bedhead leather pouch, mirrors, TV bench, sofa bed, bedside tables, coffee table, wardrobe, and a quirky minibar holding the QT’s own branded whisky, local wine, pocket hotties, cans of tinned show and merino socks. Each bathroom also had custom-built double vanities installed. The stunning, round LED mirrors created a picturesque feature focal point for the bathrooms. Adding warmth, depth and sheer beauty to the lobby space, Ramler employed a textured Jurassic Marble counter and matching circular floor piece under the fireplace round. Another statement piece is the wood log feature wall, framed in a crafted cabinet. However, it’s the complete joinery custom graphic wall that resonates most with QT Queenstown’s famously eclectic style, communicating a sense of nature, freedom and adventure to guests checking in. Ramler worked closely with Nic Graham and his team to refine and custom manufacture a number of newly designed guestroom products. The products incorporate highly specified lighting elements, well-crafted upholstery with fabric detailing the original custom metal finish and colours. Inside the intimate collaboration between Event Hospitality and Entertainment and Nic Graham and Associates, Ramler created product prototypes for review and sign-off before moving to production. 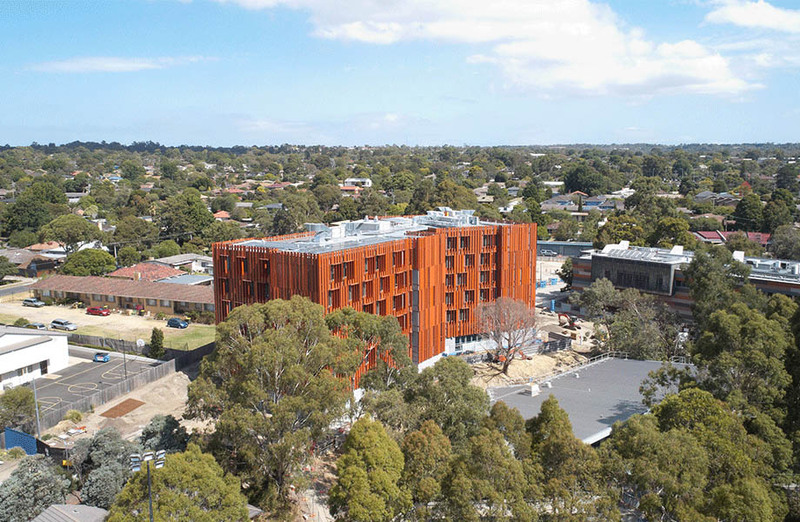 Ramler’s onsite project delivery team consisted of road freight logistics from Christchurch, install placement labour loading into the hotel floors, skilled joinery tradesmen, and a project management supervisor. 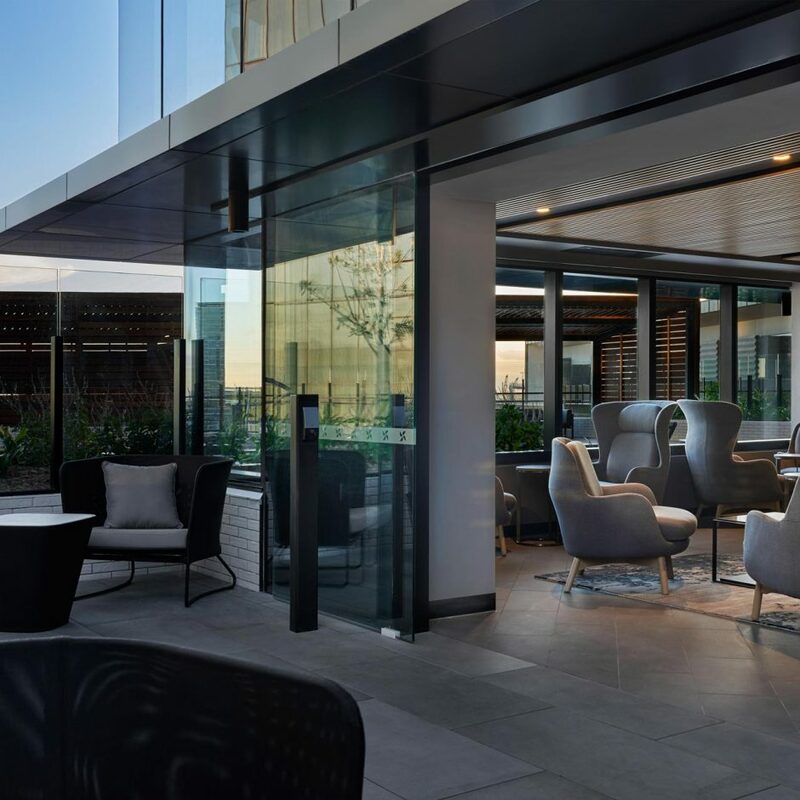 The design brief for this project was to produce high-end furniture emanating the sexiness of the world-renowned QT lifestyle brand, and deliver the ultimate modern chill-out spot for pleasure seeking adventurers, families, and business travellers. It takes more than an idea to innovate, more than a demand to design and more than a promise to produce truly essential works; and that’s exactly what Ramler International strives for when it takes on new projects.